Plus-sized online retailer Eloquii has reached a deal to be acquired by Walmart (NYSE: WMT). The terms of the all-cash deal were not disclosed to the public. The deal is expected to close later this quarter. Eloquii is considered to be one of the leading players in women’s plus-size apparel, specializing in selling clothing for women who wear sizes 14 to 28. The company was founded in 2011 as part of The Limited, but was relaunched online as an independent brand in 2014. Since then, it has opened five stores across the United States and has been doubling its sales every year. Eloquii had around $80 million in sales for fiscal 2017, according to MarketWatch. 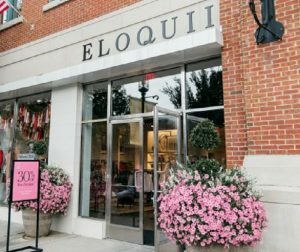 Eloquii will remain in its Long Island City, NY and Columbus, Ohio locations after the sale closes. Eloquii CEO Mariah Chase and her executive team will be reporting to Andy Dunn, SVP of Walmart US eCommerce Digital Consumer Brands. The company’s roughly 100 workers will remain employed in their current positions. Women’s plus-size clothing is one of the fastest-growing segments of women’s apparel. More than half of adult women in the US under the age of 65 wears a size 14 or higher. According to information from NPD Group, the women’s plus-sized fashion market was a $21.4 billion market in 2016. It is predicted that through 2020, the market will grow at an average of 4 percent each year. Last year, it grew 6 percent, outpacing sales of women’s apparel in general by far. Walmart’s competitors are also looking to get a bigger slice of the plus-sized fashion pie. Kohl’s is launching EVRI, a new private label plus-sized brand, next spring. Target, which launched plus-size brand Ava & Viv in 2015, is now planning to double the number of stores in which it sells the brand by the end of this year.